We hope everyone was able to kick off their school year smoothly. 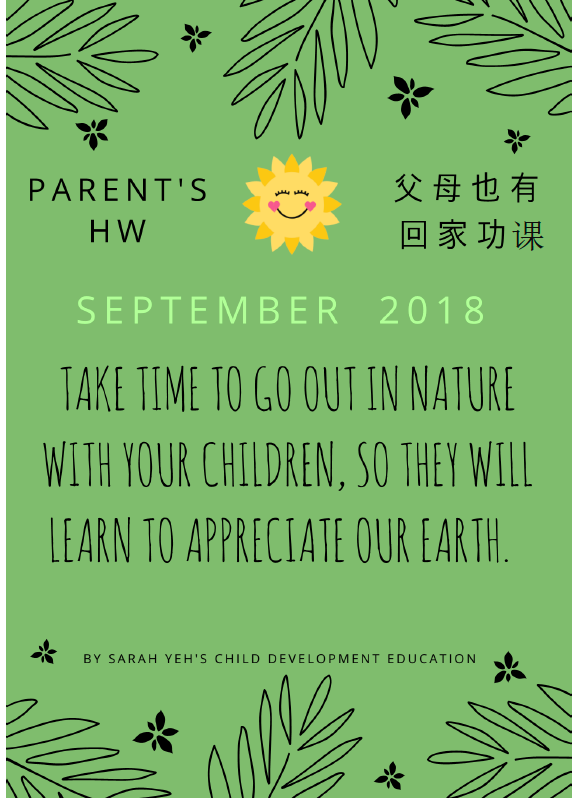 This is the September Edition of our Parent Newsletter. Below you will find some helpful reminders and information to help your month go by smoothly! ​Thank you for staying updated with the Sunshine School Newsletter! For the month of September, please note that Sunshine School will be CLOSED on Labor Day which is Monday, September 3, 2018. Tuition is due by the 1st of every month. Parents may check their balance online at www.mysunshineschool.com. Please, pay the amount owed by September 10th or a late fee of 10% will apply. Thank you for your cooperation. The schedule for kindergarten students will change beginning September 17th. Sunshine School will pick-up students at the appropriate time of dismissal. Ruskin and Northwood 5th grade students will go to Walden West Science Camp during the September 10 - 14th week. We ask parents to let Sunshine know their plan for this week by Friday, September 7th. Parents can check in with Mr. Miles (Lead Teacher). The deadline to sign up for Extracurricular Classes is Friday, August 31st. 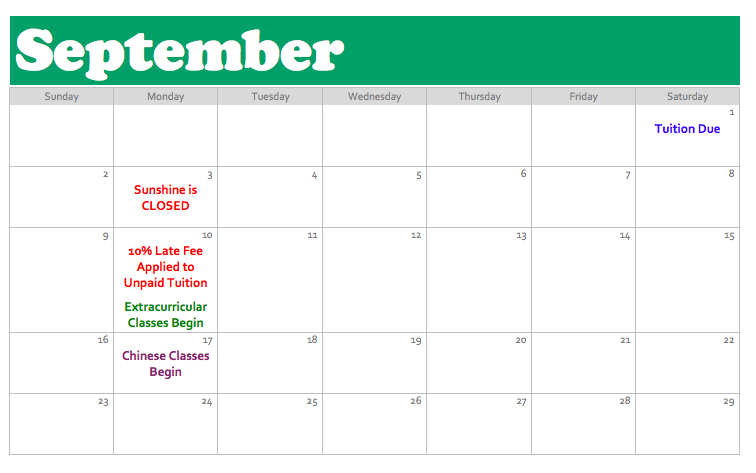 The classes will begin the week of September 10th. Chinese Classes will begin the week of September 17th. We will send out a detailed schedule on September 7th. Happy birthday to all our September babies. Wish your teachers a wonderful birthday when you see them this month!